After persistent lobbying from MHA, we are very pleased to report that this Tuesday, Melbourne City Council’s Future Melbourne Committee will at last consider options for conducting and adopting its first comprehensive heritage review of the Hoddle Grid area since 1984. Along with the already planned Southbank review and the recently gazetted City North review, this has the potential to ensure that most of the significant structures within MHA’s ambit have effective protection from demolition, removal or inappropriate development. A lot has happened since 1984. 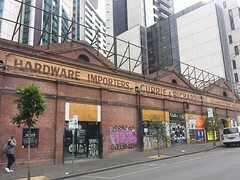 Earlier this year, wide-scale outrage ensued when Council permitted Grocon to demolish the C-graded but unprotected former Robb’s Annex on King Street as part of the Rialto redevelopment. 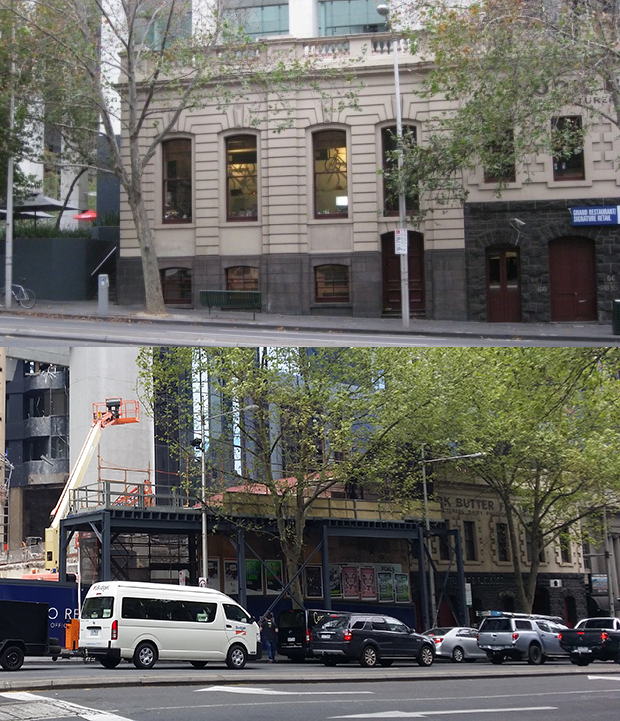 Robb’s Annex – Before Grollo, and after. That demolition highlighted the disparities that now exist between the original 1984 study and the more recent heritage overlay regime, which the Council currently relies on to ensure protection. A number of buildings which received a grading in the original study never received a subsequent heritage overlay, and these represent some significant omissions. However, MHA has serious concerns about some of the options proposed by Planning Officers for conducting the survey, which recommend its staging over an extended four year period. Given the strength of the present wave of development pressure facing the city, this will almost certainly result in the further loss of recognised heritage structures while the study is underway. MHA strongly urges Councillors, by dint of the same argument through which they recognised the need for this study at all, to recognise the need for it to be completed within the coming financial year and thus avoid any potential repeat of the Robb’s Annex debacle. And this review should not merely be about plugging the gaps between the separate heritage regimes. MHA has identified numerous absences from the original 1984 study which will also need to be addressed through the new survey. You can download Council planners’ recommendations HERE as pdf– large file 14MB. 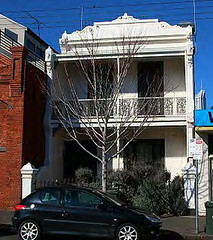 The document also includes a good potted history of Melbourne’s heritage regime. 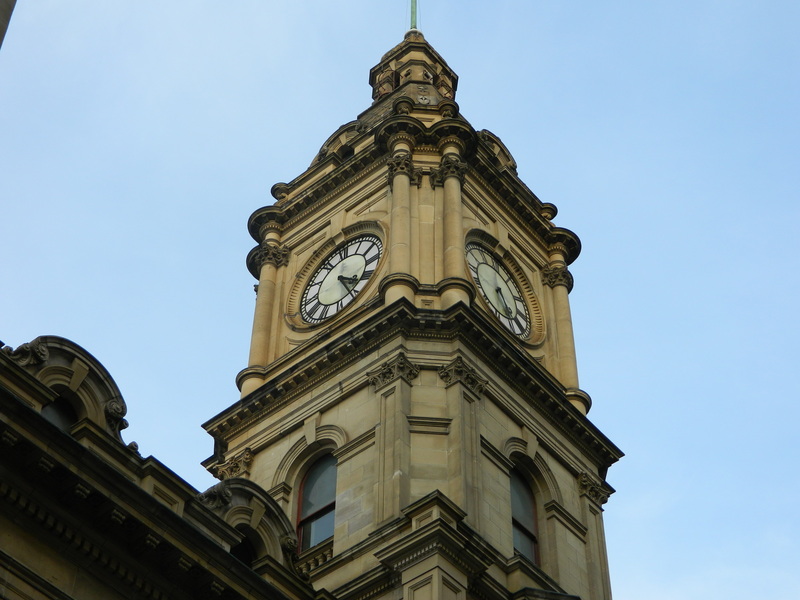 If you would like to attend the meeting (they are open to everyone) it starts 5:30pm Tuesday April 19 at Melbourne Town Hall, and if you would like to make a submission or register to speak in support of the review the VERY looming deadline is NOON THIS TUESDAY, April 19th. Again, MHA strongly urges Council to proceed with the listed Option One and conduct the survey within the shortest possible timeframe to ensure no more of our precious and recognised heritage is lost to the wrecking ball. ← Fencing off the Fitzroy Gardens Art Deco Substation – a heritage-friendly compromise?